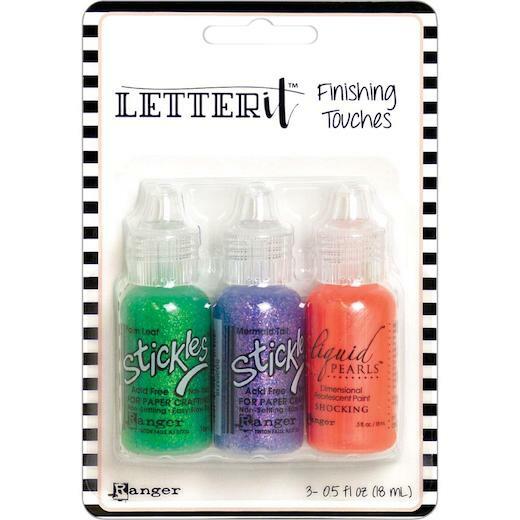 Add sparkle and shimmer to papercraft and mixed media projects with Letter It Finishing Touches. Each set includes three coordinating colours: two shades of Stickles glitter glue and one Liquid Pearl dimensional pearlescent paint. Easily doodle, dot, paint, and add finishing touches to projects with the fine point applicator tip. Three 18ml (½fl.oz) fine nozzle bottles.